Active adult retirement communities first came on the scene in the 1960s due to a growing housing demand for retirement age people who weren't quite ready to go into assisted living or retirement homes. Original communities were quite large and had an average size of about 8,000 units. One of the first active adult retirement communities to be built, The Villages of Lady Lakes in central Florida, is still an active community today. 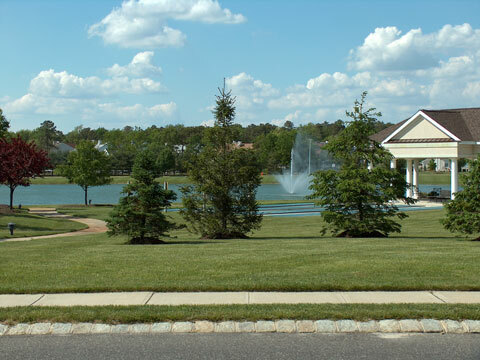 The initial goal of these active adult retirement communities was to provide aging residents with small, simple, modestly priced homes with accessible recreational facilities, enabling residents to participate in golf, lawn bowling, shuffleboard, and crafts. However, as the popularity and sophistication of active adult retirement communities increased, they came to be called simply active adult communities. Retirees and other active adults now have a choice of simple active adult communities, luxurious communities, and just about everything in between. Active adult community construction decreased during the early 1970s, coinciding with the real estate slump in the United States. By the 1980s, however, the number of communities being built was once again on the rise. By the 1990s, interest in active adult communities reached record levels, resulting in the building of 50 new communities. One of the frontrunners in the active adult community business is Del Webb, who has built more than 80,000 housing units in these types of communities since the 1960s. Other big players in the business include Lennar, K. Hovnanian, Pulte Homes, and Robson Communities. Given its warm climate and easy living, it is no surprise that Florida is home to 38 percent of all active adult community units. Other temperate areas such as Arizona, Nevada, and California follow. But as active adult communities become more popular, they're becoming more widespread, even springing up in major cities such as Atlanta, Chicago, Los Angeles, and New York. Today, active adult communities are considered small if they comprise fewer than 300 units, medium-sized if they contain 300 to 1,500 units, or large if they encompass more than 1,500 units. Generally speaking, the larger communities tend to offer more housing unit choices and package plan options. Many of the larger communities offer a full menu of recreational offerings, and some are centered around golf. The smaller communities typically offer more limited choices. There are active adult communities in just about all price levels, from affordable to the more luxurious, which have units and amenities designed to appeal to the older affluent population. In addition, some communities are very specifically targeted to a certain niche market, whether that niche focuses on a recreation interest, affinity group, or ethnic background. Active adult communities can be classified age-restricted or age-targeted. Age-restricted communities focus their facilities and programs toward the interests of a particular age group; they do not allow children and teens. Age-targeted communities, on the other hand, can be marketed and sold to a wider variety of buyers, but they can't refuse children and teens. With the wide variety of active adult communities available throughout the United States, there's one to suit just about every need.